Maximum lime resistance: Just rub the lime away with your finger, and the faucet stream is straight and soft again. Switching over to a SLC aerator will help you eliminate lime build up, avoid splashing and maintain stream quality and water flow. Aerators are found in nearly all kitchen and lavatory faucets. 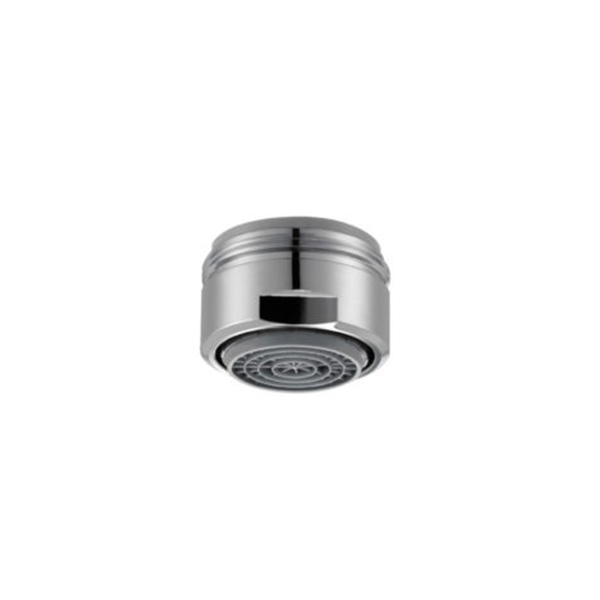 An aerator is a key component in the overall performance of the faucet. High-efficiency Faucets: To be eligible for Water Sense, the maximum and minimum flow rate requirements for faucets are 1.5gpm max at 60psi and 0.8gpm min at 20psi, saving 30% water and energy compared to a flow rate of 2.2gpm.